Artist Design by Jacob Spenadel. Check out his artist page to learn more! When you purchase an Artist Design Product, the artist receives money each time their design is sold. Jacob is the very first Creative Souls artist! 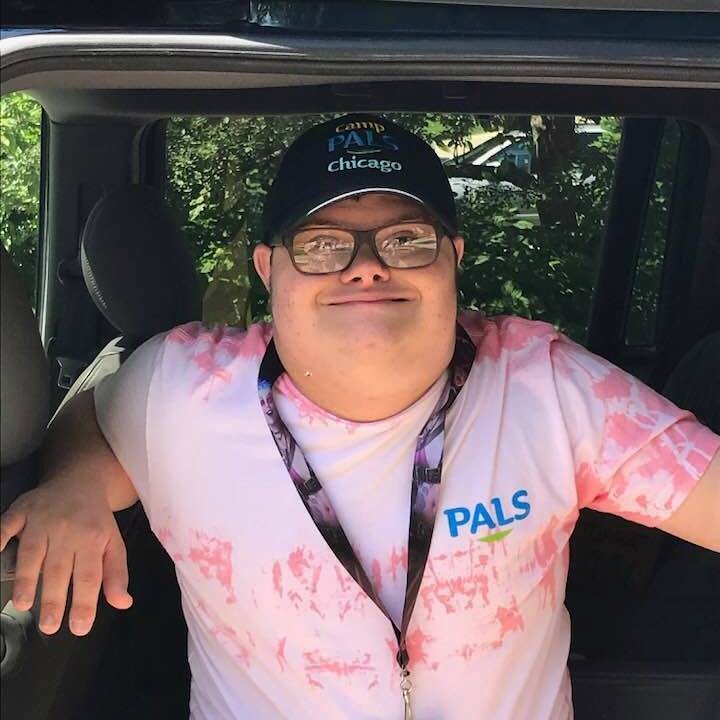 Jacob was featured in a news segment about Creative Souls that aired on NBC Chicago news! See down below to watch the video. Spenadel has been making art since he was a little kid. Jacob likes to draw, paint, make paper mache animals and work with different types of fabric. Besides art, he loves to watch movies, listen to music, watch sports, act, and don’t forget traveling. Australia, Italy, Jamaica, Mexico, Israel, and Hawaii are just a few of the places he’s traveled too. He is Chicago’s biggest fan! If you ask him who his favorite players are they include Anthony Rizzo, Mitchell Trubisky, Corey Crawford and Michael Jordan. There are many reasons why Jacob is a Creative Soul. He is not only a great friend to many, but he is funny, super kind, and most importantly is an artist. Jacob is truly a Creative Soul. Jacob Spenadel and Drew McNamara - the Founder of Creative Souls on NBC Chicago.